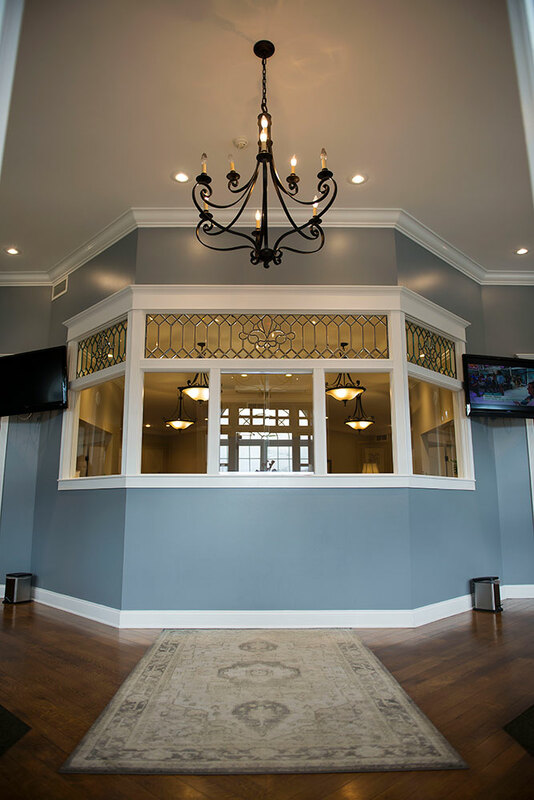 Frye Dental Group is a patient-focused, forward-thinking dental office that sees the big picture but notices every detail. With highly-educated staff and innovative treatments, we prioritize patient comfort and dental health, offering the best, most contemporary, mutually beneficial procedures. Frye Dental Group welcomes patients of all ages for preventative, restorative, and cosmetic dental care. Our caring staff is trained to help all of our patients feel comfortable and informed before, during, and after any treatment or procedure. 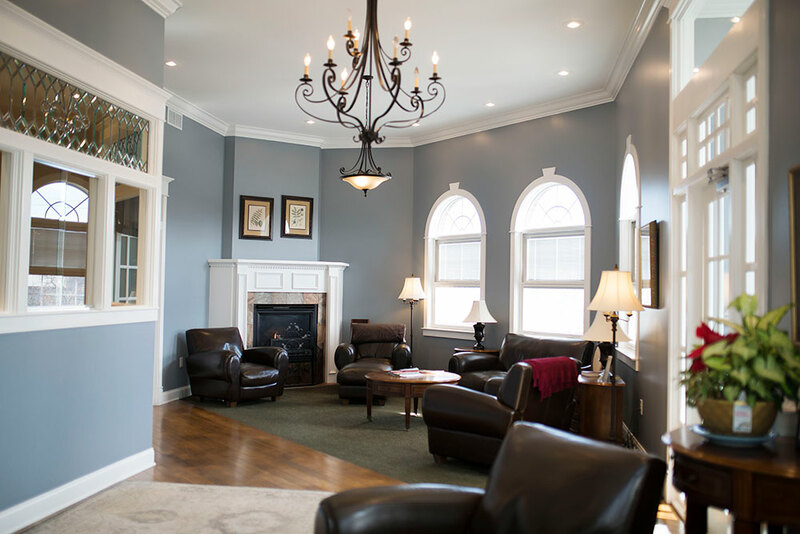 We provide thorough explanations in our office and an extensive patient education library so that all patients’ questions are answered. Every evening we call patients to check in following treatment. Frye Dental Group also does not look backwards for very long. 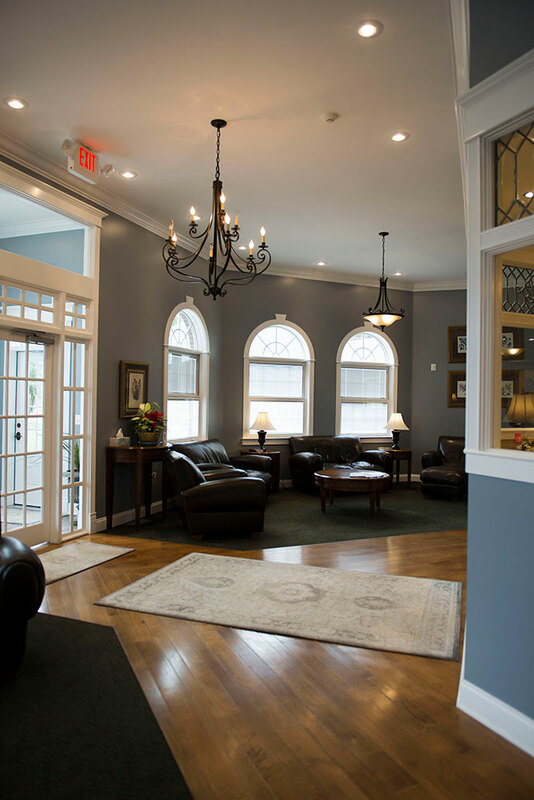 With state-of-the-art equipment, technology, and procedures you would expect to find in larger cities, Frye Dental Group provides superior quality of care in the Marietta area. Is it going to be best for the patient? Is it going to save them money? Is it going to save them time? If we can’t answer yes to all three, we don’t do it. Dr. Frye has provided quality dental care to Marietta area residents since 1992. After graduation from Warren High School, he earned his Bachelor of Arts in Chemistry from Kenyon College in Gambier, Ohio in 1988, followed by a dental degree from the Ohio State University in 1992. Upon graduation, Dr. Frye returned to his hometown area to begin his dental career. During his professional career, Dr. Frye has established his practice as a leading source for quality dental care. He is recognized not only for excellence in quality restorative, cosmetic and preventive care, but also for sound business practices that make full use of the newest technologies in dentistry. Numerous hours of continuing education per year further promote his professional development in the fields of endodontics, periodontics, and restorative dentistry as well as incorporate the most recent advances in cosmetic dentistry and implant placement. Previously, Dr. Frye served as Sub District 7 Representative for the Council on Communication and Public Service for the Ohio Dental Association and was committee co-chair for the Muskingum Valley Dental Society “Give Kids A Smile” program, dedicated to providing dental care to needy children in Southeastern Ohio. Locally, Dr. Frye is a board member for the Marietta Memorial Hospital Health Foundations, participates in the Marietta College Foster Parent Program and plays an active role for the American Cancer Society. Alaina L. J. Perry, D.M.D. Dr. Perry joined Frye Dental Group as a dentist in 2017. After practicing in Cleveland, Ohio for several years at Great Lakes Dental and as an adjunct provider of oral sleep apnea treatment for Cleveland Clinic, Dr. Perry was excited to return home and serve her own community. 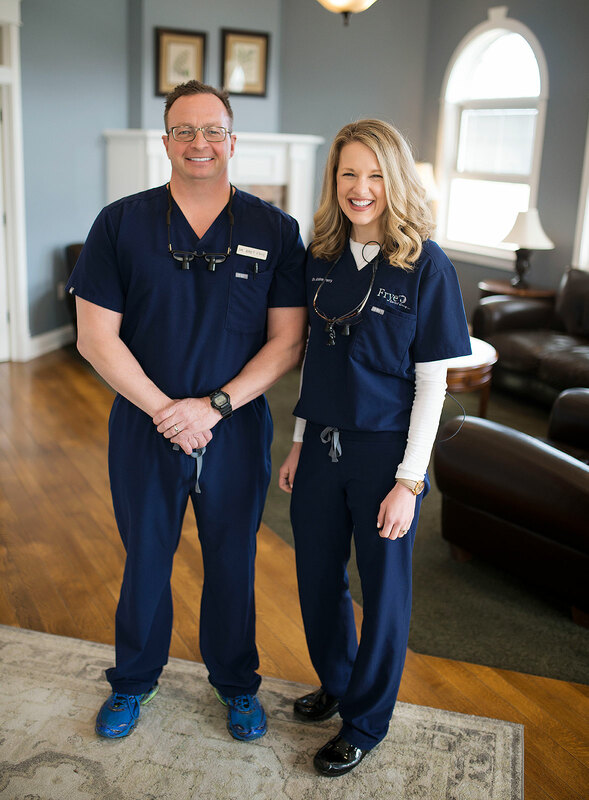 She enjoys working with the highly-educated staff at Frye Dental to give each patient the best possible experience and to help them feel at home. Dr. Perry completed her undergrad studies at The College of Wooster and attended Dental School at Case Western Reserve School of Dental Medicine. She went on to complete her residency at Louis Stokes Cleveland VA Medical Center. Dr. Perry is a member of the American Dental Association (ADA) and the American Academy of Dental Sleep Medicine (AADSM). She is married to her husband Jared and has twins, Pierce and Ellery. In her free time, Dr. Perry enjoys running, supporting local business, and traveling.